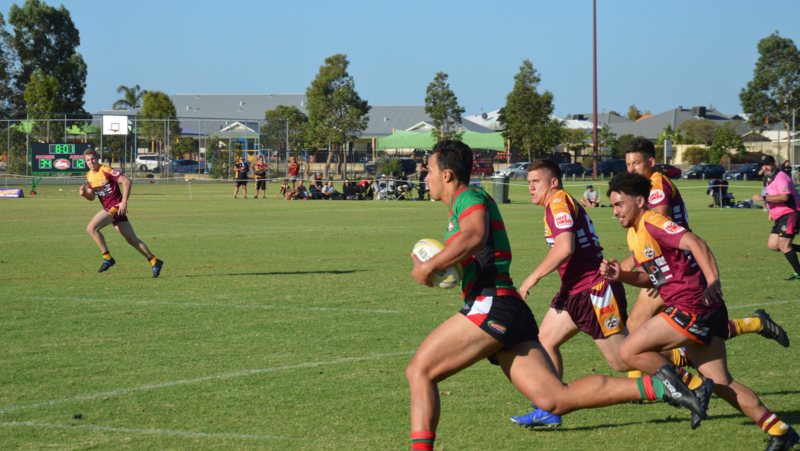 The Ellenbrook Rabbitohs sent a message to the rest of the WA Smarter Than Smoking competition after a resounding 38-16 win over the Joondalup Giants in their second preseason hit-out at Charlottes Pavilion on Saturday. 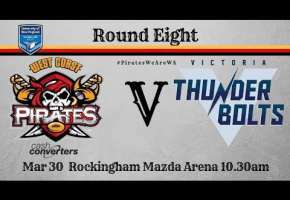 The new kids on the block are here to play in 2019 and now own a 2-0 preseason record after taking care of the Rockingham Sharks last weekend, much to the delighted of player/coach Jarek Goebel. “You never know what you’re going to get into when you’re a new club,” Goebel said. Led by Kade Pearce’s second hat-trick in as many weeks, the Rabbitohs ran in eight tries to claim a comfortable win. “That’s six [tries] in two weeks, which is pretty crazy,” Goebel said of Pearce’s performance. 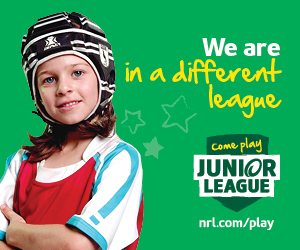 “This is only his second game of rugby league. He’s definitely a treasure for rugby league to keep. 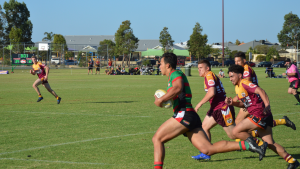 Buoyed by the confidence of last weekend’s 24-18 win over Rockingham, Ellenbrook burst out of the blocks – scoring six unanswered tries to take a 30-0 lead into the sheds. Playing against his former side, Wananga Kingi opened the scoring after just eight minutes with a cool finish in the corner before Pearce (2), Goebel and Koen White scored tries to give the hosts a stranglehold of the game. Just when things looked like they couldn’t get any better for the Rabbitohs, the ever-dangerous Bryce Wilson snuck his way over from dummy half to put his side firmly in the driver’s seat. Facing a 30-point deficit, first-year Giants coach Gus Marshall needed his troops to lift after the break, and they did just that as five-eight Davey Martin crossed the white line just three minutes after the restart. 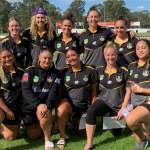 Joondalup’s joy was short-lived, however, as Ellenbrook fullback Nevada Koro touched down in the corner to kill off any chances of a Giants comeback. 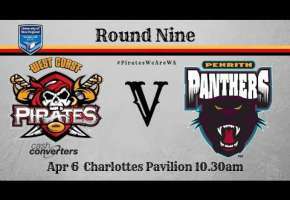 Giants forward Poutaka Kihi got himself on the scoreboard with a barraging run before Pearce took centre stage to complete his hat-trick with just seven minutes to play. 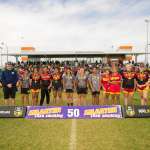 To their credit, the Giants kept grinding and scored the final try of the game as Caleb Reedy collected his second meat pie in as many games, but it wasn’t enough to prevent Joondalup from slipping to 0-2 after two weeks of preseason action. “When you’re 30-0 down at half-time it’s tough to come back from that,” Marshall said. 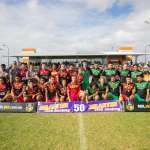 In other results around the grounds, the Fremantle Roosters rode an explosive opening twenty minutes to take care of the Rockingham Sharks 38-18, while the South Perth Lions defeated the North Beach Sea Eagles 30-16. In mixed-grade action, the Willagee Bears and Kalamunda Bulldogs played out a high-scoring affair, with the Bears claiming a 64-12 victory.